Every time I host, I’m thinking of the 4 million things I need to, want to, or I guess I possibly, maybe could or should do to my home to make it absolutely perfect for my guests. But who has that kind of time? Between grocery shopping, cooking, gift wrapping, cleaning, and convincing my puppy that she can be perfectly happy playing by herself quietly, there’s just not time to “properly” decorate the house. That’s why I’ve compiled this list - to help us all prioritize. In this post, I’ll walk you through the most important things to do in each room of your home so you can “call it good” and go shower before the guests arrive. This is, of course, assuming the cleaning is done and you want to add a little something extra to remind everyone which holiday we’re celebrating. If you don’t have the time (or energy) to hang strings of tiny lights on your house’s exterior and/or you dread having to take them down again after the new year, you are not alone and I’m not judging! 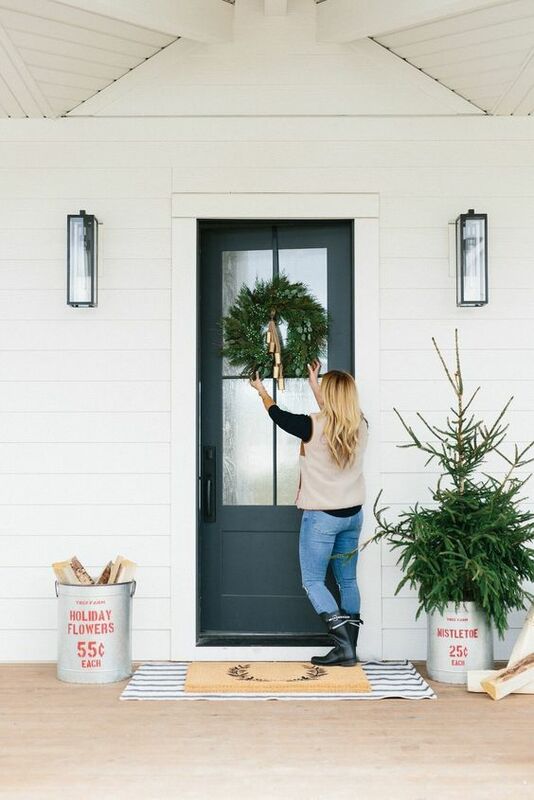 Get around this labor-intensive tradition by simply hanging a wreath on your front door. It’ll show your neighbors that you’re not a Scrooge, and it will ensure your guests that your home is filled with holiday cheer ready to be enjoyed. Don’t forget that interior design is about both form and function working together, and this tip addresses both. Here in the Midwest, guests showing up with coats is inevitable. And everyone (I mean everyone) will feel much more comfortable if you already have a place to put them when greeting your guests. Whether your solution is a clean/empty hall tree, adding extra hangers to the coat closet, or “coat checking” to the spare bedroom, do have a plan. This weekend, I attended a dinner party where the host even remembered whose coat was whose and she was able to retrieve them for us as we left. Everyone was incredibly impressed, so bonus points if you can pull that off!! The dining table centerpiece is an intimidating concept to the average host… but it doesn’t have to be. Adding greenery is the fastest and easiest way to create a fabulous tablescape that looks professionally styled and entirely intentional. If you’ve got an evergreen in your yard, you can even do it for free! Place some garland or pine branches down the center of the table, add a pine cone every foot or two, and you’re done. If you’re feeling extra festive, you can even take it to the next level with some tea candles placed inside your everyday glass tumblers or jars. To save yourself room at the buffet line, set a plate, napkin and silverware set at each seat. Beyond freeing up space in the kitchen, this allows your guests to visit the table before the meal and pick a spot while grabbing their plate. It also means no one has to carry their napkin and silverware while also balancing a plate full of your best-ever batch of mashed potatoes and gravy. Have you ever gone through a dinner buffet line and been unsure of whether you should put the chocolate covered pretzel you just picked up next to your honey ham or your oven-roasted Brussel sprouts? Some treats just aren’t meant to be enjoyed during dinner, but are better suited for a pre- or post-dinner snack. Please do everyone a favor and separate the meal food from the snack food. 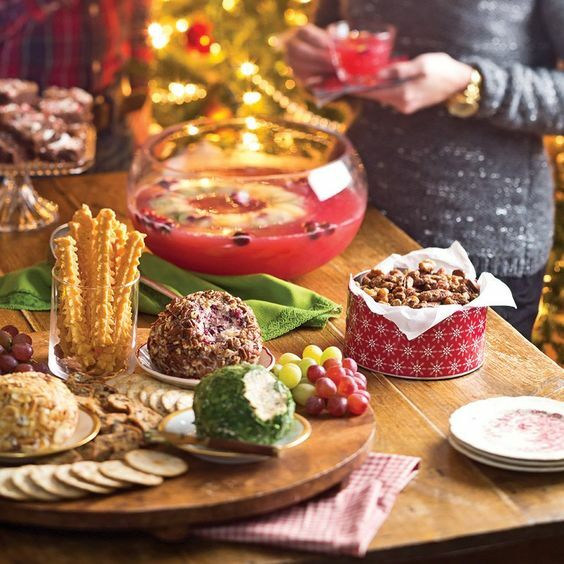 Have a snack table or area filled with treats and goodies to be out and readily available so that it can be frequented by all guests, all day. This is especially useful when the dinner line is 10 cousins long; those of us who were slow pokes can head over to the snack table until the line goes down a bit. The living room is likely going to tie with or beat the kitchen for the title of “room spent the most time in” when you host. That means its ambiance is much more important than its decor. Keep the decor simple (don’t overdue the throw pillows) and focus on the lighting. Chances are, you will not need the overhead lights. Instead, use only the warmest light sources in the room: lamps, sconces, fireplace, and candles. Warm light is flattering and mood-rich because it has a yellow tint, which is why firelight and lamps with incandescent bulbs (or at least fabric shades) are best. If your recessed lighting is on dimmer switches, turn them to half-on at most. Think of it like this: if you can read the back of a record cover with no frustration, it’s too bright. If you can’t see the footstool or throw pillow in your way when moving around the room, it’s too dark. I’m hoping this one is self-explanatory. But just in case it’s not, you need to put extra toilet paper in the bathroom(s) your guests will be using. This is not up for debate. Done. Next. Sure, the guests aren’t really supposed to be wondering around the house and hanging out in the office. But if they get there, avoid giving them the feeling that they’re “out of bounds” by playing some soft seasonal music - no decorating needed! Set a bluetooth speaker on the desk and play some instrumental holiday tunes at a low volume to let your guests know your whole house is full of cheer this time of year. 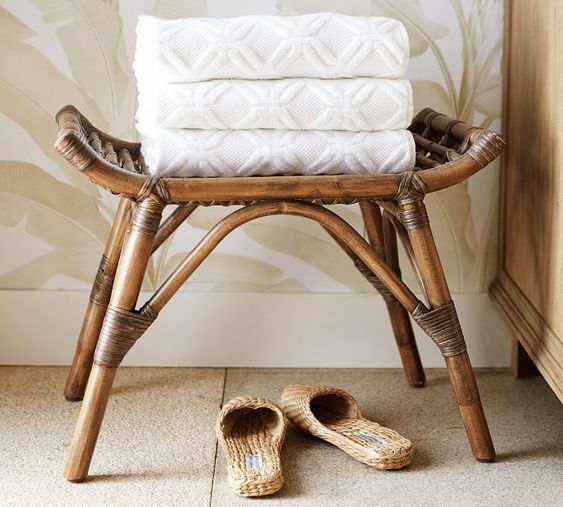 Make your guests feel extra special by setting out everything they may need. Requiring Aunt Sue to search every cabinet for a towel, be just a little too chilly at night, or ask for a glass of water isn’t exactly going to help her feel at home. Pulling a few towels out of the cabinets, setting extra blankets at the foot of the bed, and leaving a bottle of water or two on the nightstand are surefire ways to give your loved ones a comfortable stay. Hosting doesn’t need to cause you to lose sleep or pull your hair out. It’s meant to be fun, festive, and a special time to spend with the most important people in our lives. Follow these simple steps and every room in your home will be ready to go before you know it.